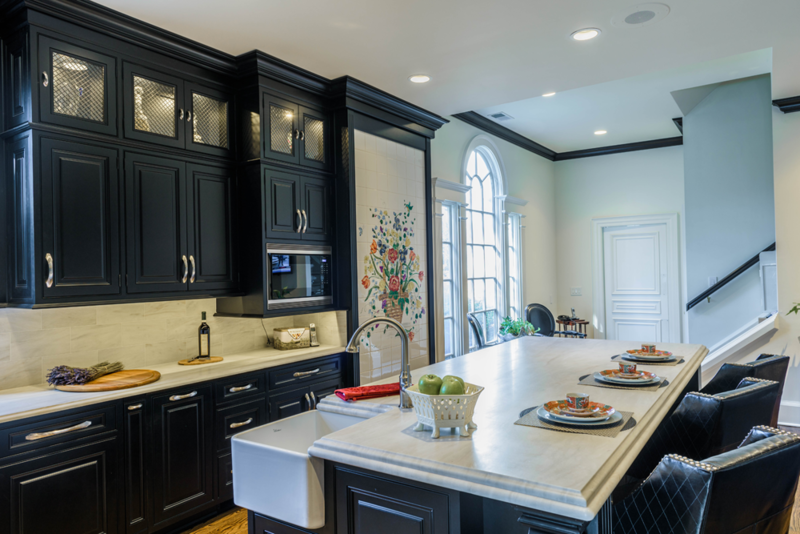 The Counterpoint Group is a kitchen and bath cabinetry company providing design and installation services for Atlanta’s most discriminating remodelers and builders. Our mission is to provide high quality cabinets at various price points, while giving our clients a high level of customer service. Marc Tyson, the owner and principal of The Counterpoint Group, has been in the construction industry since 1981, beginning his career with a national specialty commercial construction company. He served in various capacities including engineering manager and branch manager. Marc earned his electrical engineering technology degree from Southern Technical Institute, a division of Georgia Tech. He left the corporate world in 1999 and founded The Counterpoint Group. For the past 12 years, the primary focus of the company has been in the Kitchen and Bath industry. The Counterpoint Group has a combined almost one hundred years of experience in remodeling and construction. Along with Marc Tyson, John Gum, who owned KitchenWorks in Marietta, one of the largest and most successful kitchen design showrooms in Metro Atlanta is part of the team along with John Ford, who has worked in the kitchen and bath industry since 1984, and Chuck McMillan who has worked extensively with Aging in Place and Universal Design. Having worked as a remodeler himself for many years, Marc knows and understands the unique challenges his customers face. He knows the importance of quality design and craftsmanship as well as responsiveness and excellent communication during the entire cabinet design and installation process. He and his entire staff strive to go above and beyond on each project and to make the experience a positive one for the remodeler or builder as well as the homeowner. The Counterpoint Group has a cabinet showroom in Woodstock, where designers, remodelers, and builders can come or bring clients and select from four brands of cabinetry. Mouser, Jim Bishop, Mid Continent, and Merillat are the brands we currently carry. We are always looking for cabinet manufacturers that offer quality products that our remodelers and builder clients feel are a good fit for their needs. The Counterpoint Group maintains memberships with various trade associations, including the Atlanta chapter of the National Association of the Remodeling Industry and the Atlanta chapter of the National Kitchen and Bath Association. We are always striving to learn more about the industry, to keep up with building and design trends, and to offer new and innovative ways to improve our processes and communication in order to better serve our customers. At The Counterpoint Group, we realize every remodeler and builder in metro Atlanta has many choices when it comes to cabinets, and we know having a smooth process, a quality product, and a positive homeowner experience is the only way that our business will grow and distinguish itself in this highly competitive environment.